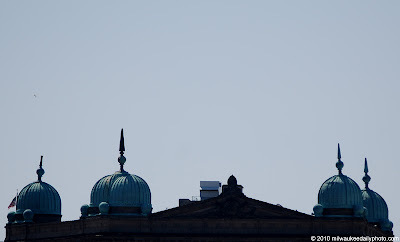 The roof of the Germania Building in silhouette against a clear sky. I hadn't noticed before, but one of the spires seems to be damaged and missing its spike. Lightning strike, perhaps?